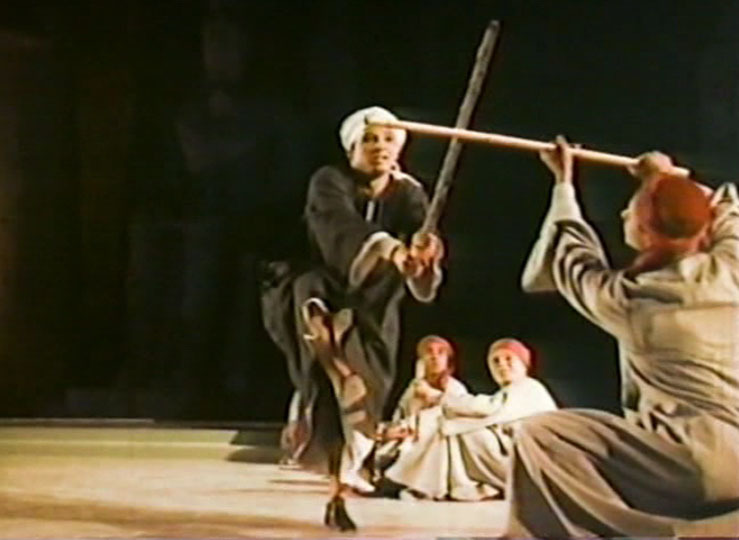 Funded by Stroud Festival and part of the Stroud Dance Festival 15 October – 1 November 2015 this is an opportunity FOR MEN TO TASTE FOR FREE the exhilaration of dancing with the stick in the ancient ritualised combat dance of TAHTIB from Egypt . The several years training in both Karate and Tai Chi gave me insights into the basic concepts of many martial arts – relaxed but focused attention, a low centre of gravity, balance, centredness and a peaceful attitude. During my long experience as a dancer and in my teaching and study visits to Luxor I came to understand how these elements are the basis for the improvised dance form, the TAHTIB, and how it is highly relevant to the dance shy men of the West. We will use large sticks and evocative music played on instruments unchanged over centuries to explore an art which goes back to pharaonic times. The workshop is non contact and suitable for all men. You do not have to be especially fit, nor have experience in dance or in the martial arts, just an open and curious mind, and a willingness to have fun. Sticks will be provided. PLACES ARE LIMITED. PLEASE BOOK BY CONTACTING ME. CLICK ON contact. Thank you.